I have to admit that I cheated for the crust and bought those mini graham cracker crusts. I brushed them with a beaten egg and put them in the oven for 10 minutes at 35o. I inverted them when they came out of the oven and let them cool completely. Tap the top gently until the crust falls from its aluminium case. Whip 1 block (8 oz) softened cream cheese with 1/3 cup sugar and zest of one lemon. Whip 1/3 cup heavy cream to medium stiff peaks and gently fold into the cream cheese. Spoon into the shells. Refrigerate until the cream gets a little stiff. Prepare a simple ganache with 3/4 cup heavy cream heated up and stir in 1 cup chocolate chips. Let stand for 2 minutes and gently stir until all the cream incorporates in the chocolate. Refrigerate until of spoonable consistency. 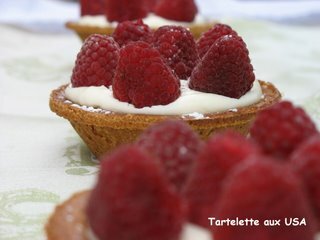 Fill a pastry bag with a plain tip and fil the cavities of some nice looking raspberries (1 pint was enough for 6 tarts). Let the ganache filled fruit get hard in the fridge. When ready to plate position the raspberries on the cream and dust with powdered sugar. I don't want to know what these would be like with mascarpone...ok...I DO want to know! They look delicious! I would like to have one here right now! I agree with Jenjen that Mascarpone would be just perfect. 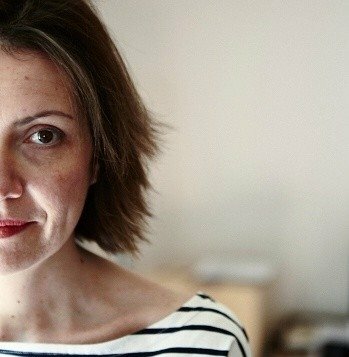 Will definitely check your blog again for new posts! Really hope you'll check it sometimes! Sounds so good! What a beautiful photo too. JenJen & Orchidea: I agree with the mascarpone instead of the cream cheese. 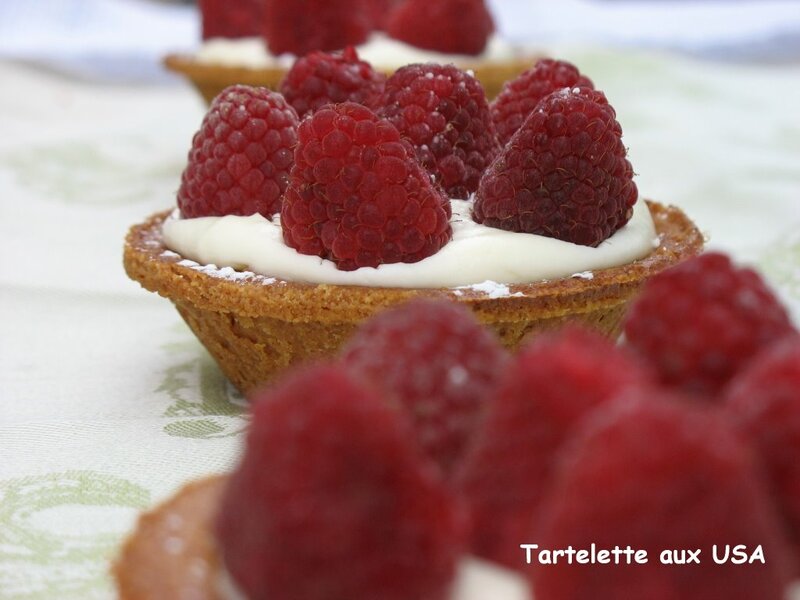 Julia: I am like you, raspberries rarely make it in desserts with me, a dollop of creme fraiche and I am hooked. Checked your site and I love it already! Anita and MarY: thank you! Sometimes going back to simple and basic works! Your pics are very inspiring to me.